Mark Gregory, our Lead Pharmacist, reflects on the risks associated with polypharmacy and the benefits of deprescribing. In 1995 only 2% of the population over the age of 65 years were prescribed 10 or more medicines. By 2010 this figure had increased to 5% and by 2018 increased further to 8%. For those over the age of 85, almost 1 in 4 of the population are now prescribed 8 or more different oral medicines. This level of ‘pill burden’ represents a significant multi-drug dosing of the elderly population. Taking this amount of oral medication two, three or even four times every day also presents a practical challenge, even if we can assume full cognitive functioning. No doubt the individual clinical benefits of each of these multiple medicines outweighed the risk of potential harm at the time they were started. However, the results of clinical trials of individual drugs do not give us an detailed understanding of the long term effects of the complex interactions within these cocktails of pharmacological active chemicals within the body . A number of years on, particularly for the frail elderly, the potential harms vs benefit equation changes for many of these medicines, increasing the risks of adverse effects. This is the basis of the increasing interest in the application of the concept of ‘deprescribing’ as one approach to aiming to achieve ‘appropriate polypharmacy’ for medicines optimisation. 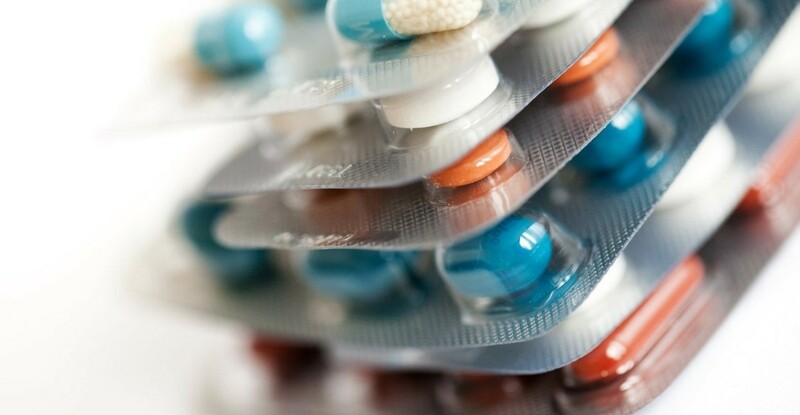 Academics such as our own Bristol Uni expert on this subject, Dr Rupert Payne, inform us that one of the ‘gaps in the evidence base’ on this subject is the lack of evidence on the proven benefits of deprescribing – a subject of research interest. However, whilst recognising that even in the frail elderly, there is clearly a strong case for the ongoing prescribing of many drugs, individual patient feedback on the quality of life impact in practice resulting from selective deprescribing are convincing enough for many of us to promote the application of deprescribing principles in pursuit of ‘appropriate polypharmacy’. At our recent West of England AHSN polypharmacy event, a useful reminder of this was hearing the experiences of a local patient, Ann, describing her difficulties with managing her multiple medication regime and the medicines supply pathway associated with it. Her wish was for ‘regular and effective medicines reviews to be undertaken to ensure that people don’t remain on medication they don’t need to be on’. Patient experiences of long term polypharmacy were further highlighted at this event in the presentation of a successful polypharmacy project by our colleagues in Yorkshire and Humber AHSN. In particular, the story of an elderly patient with dementia in a care home who had been on more than 10 different medicines for a number of years. He was showing increasing symptoms of BPSD and disturbing behaviour. Following an extended, patient centred polypharmacy medication review, it was possible to stop nine of his medicines. The impact was summarised in a quote from his wife – ‘I cannot remember when we last played dominoes together and we have now done it every day this week’. Actual patients’ experiences are powerful reminders of a key question that underpin our pursuit of ‘appropriate polypharmacy’ beyond the published evidence: What is most important to individual patients in the wider context of their current lives? Fully understanding individual patient’s values and engaging in shared care prescribing decision making, takes time. This adds pressure on already pressurised patient consultations – the practical implementation challenge!